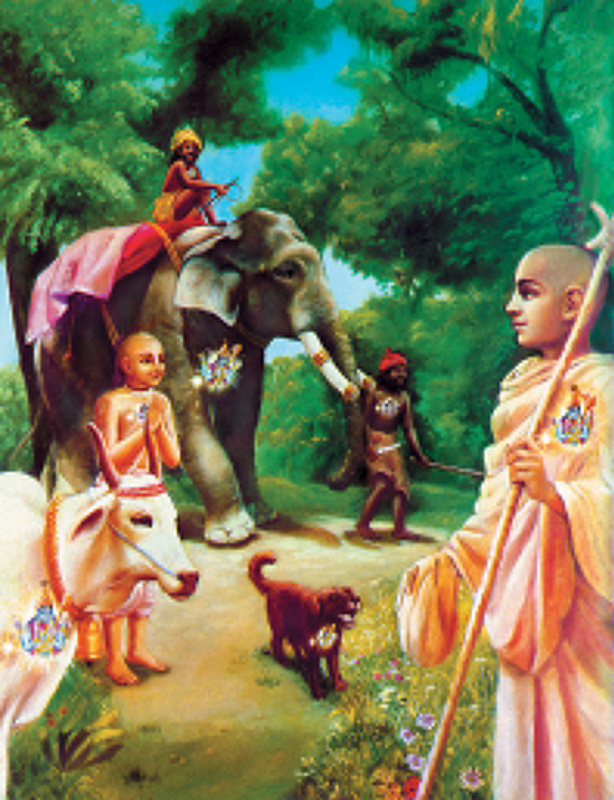 Bhagavad Gita Art Gallery--Plate 20: The humble sage sees with equal vision.. The humble sage sees with equal vision. PREVIOUS Bhagavad-gita 5.18 A sage sees the Supersoul accompanying the sparklike individual soul in each body.